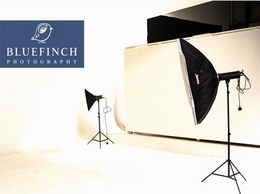 Blue Finch Photography provide wedding, portrait and family photography throughout Birmingham and the West Midlands. My fine art images put together the visual story of your wedding day. Each image will portray a mixture of drama, luxury, elegance and innovation. We specialise in wedding photography, Editorial, portrait & corporate photography. We use the very latest SLR cameras to capture your special events. rockmycamera.com offers vintage wedding photography in Birmingham and the Midlands. Fully edited photographs with a contemporary vintage finish. Full day and half day packages available from only £645. Ray Anthony Photography is a husband and wife team with highly trained photographers that offer professional documentary wedding photography in Michigan. We do more than photograph your day. Welcome to GK Exposure Photography in Birmingham, Welcome to a world where eternity is captured through professional photography. I bring alive the vividness entailed in every living moment through images that are superbly shot phenomenon. Our spacious studio is based in Walsall West Midlands and has ample parking. We cover a wide range of photography services and are some what unusual in that we also cover weddings as most wedding photographers work from home. The West Midlands, Warwickshire, Worcestershire, Herefordshire, Gloucestershire, Staffordshire, Leicestershire, Nottinghamshire and Derbyshire. Paul Stringer is a Documentary Photographer and Filmmaker from Birmingham, UK. Specialises in Political, Cultural and Social movements in the UK and further afield. Anywhere in the West Midlands, but regularly travels to Europe. Richard Southall, an architectural photographer based in Birmingham, is a leading specialists in the world of architectural photography, supplying images to the building, residential, construction and leisure industries.